The over-achieving Genesis® engine is the heart of our lightweight and aggressive FX Nytro model family. The torquey, quick-revving engine has been independently dyno tested in the mid-130 horsepower range. It has dominated its competitors in nearly every performance comparison in the industry. The Genesis High Performance engine uses Yamaha’s advanced fuel injection system to control fuel flow to the engine. Consumers will enjoy the engine’s spot-on performance and throttle response as a result of the advanced electronic fuel injection system. The Genesis High Performance engine features the unique Engine Braking Reduction System. 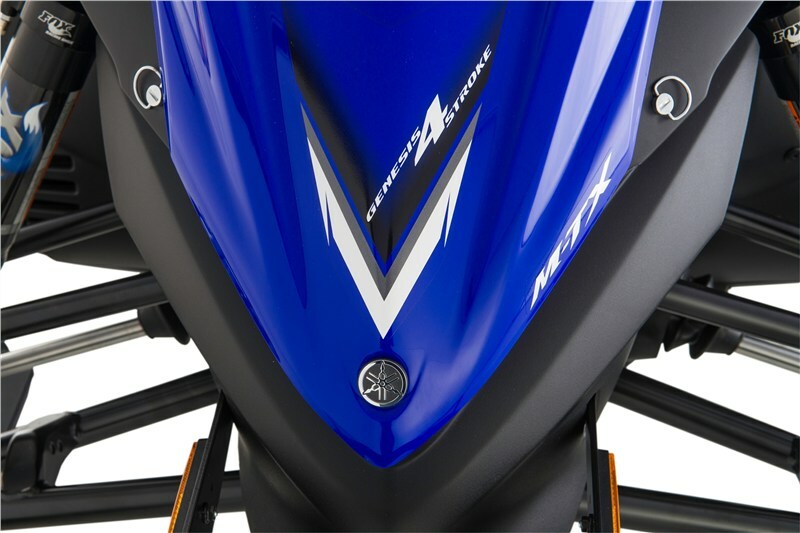 The system allows a small amount of air to pass through the fuel injection system when the throttle is released, giving riders a “coast” feeling. The patented rear exit design serves many performance-enhancing functions on the FX Nytro MTX 153. First, it maximizes horsepower by using a straight exhaust pipe design. Second, it reduces the amount of heat produced under the hood. 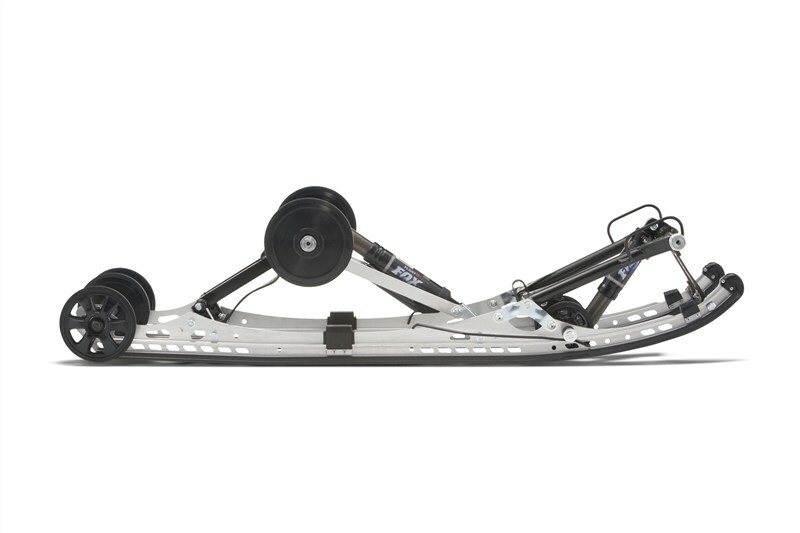 Third, the rear-exiting design distributes weight to contribute to the excellent balance of the sled. 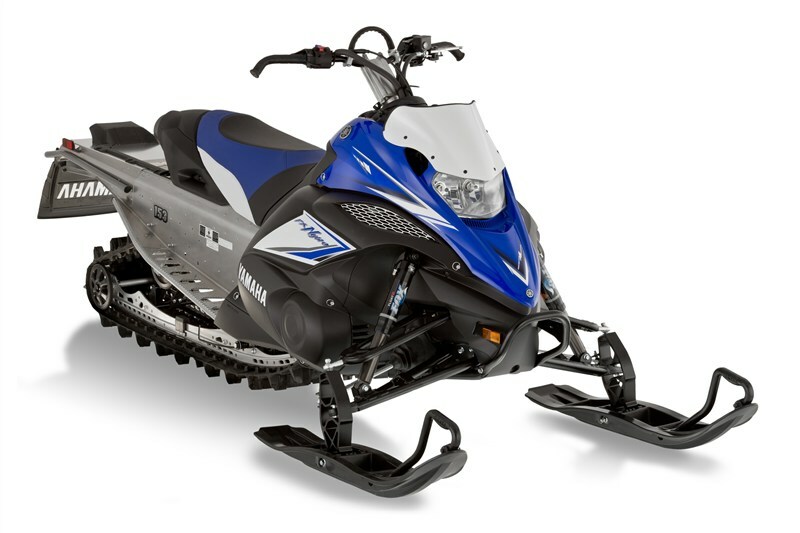 The FX Nytro MTX 153’s airflow design pulls fresh air in from around the headlight and forces it through the radiator fins for high cooling capacity, resulting in consistent engine performance even in low-snow conditions. 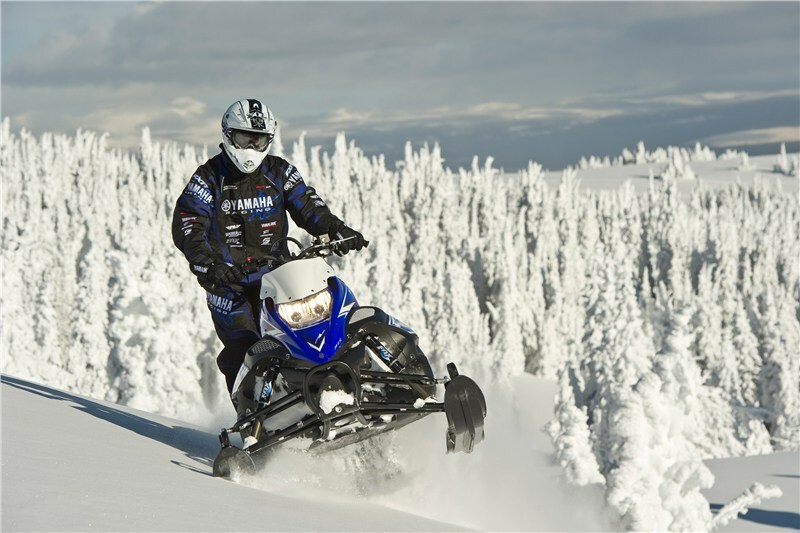 Yamaha and Camoplast® collaborated in the design of the Maverick™ track. 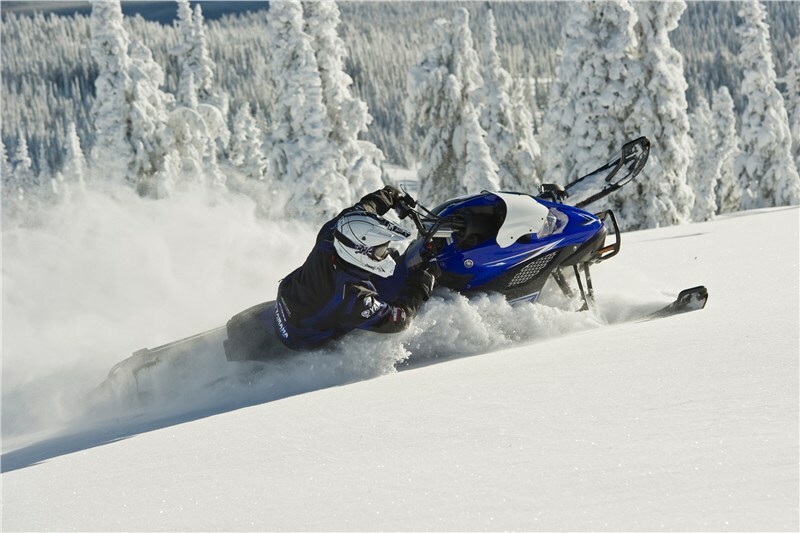 The 15x153x2.25-inch track features a 3-inch pitch to allow more snow to pack in between the lugs for a firmer grip on the snow. Also, the lugs are extremely varied in design and profile for even more traction in multiple snow conditions. These saddleless plastic mountain skis are wider than a trail ski. The extra width and deep keel allows for excellent powder handling characteristics. 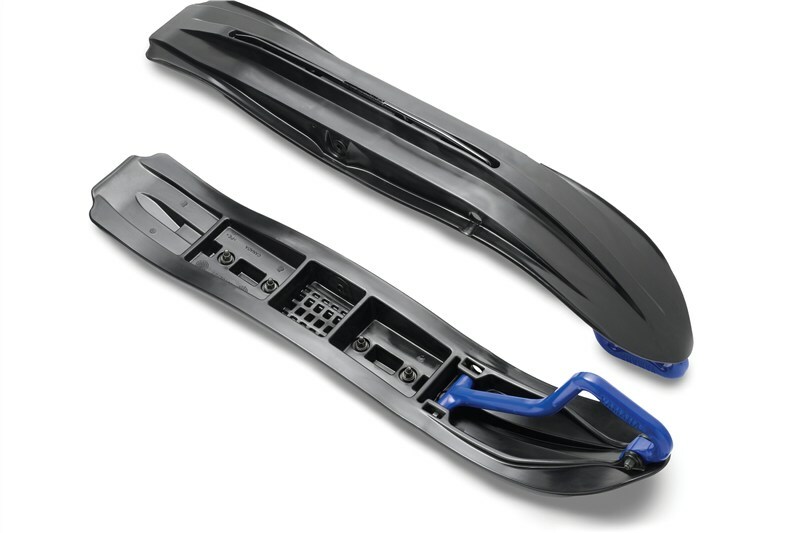 The unique arched fin design of the ski aids in powder handling and also deflects snow away from the sled and the driver. 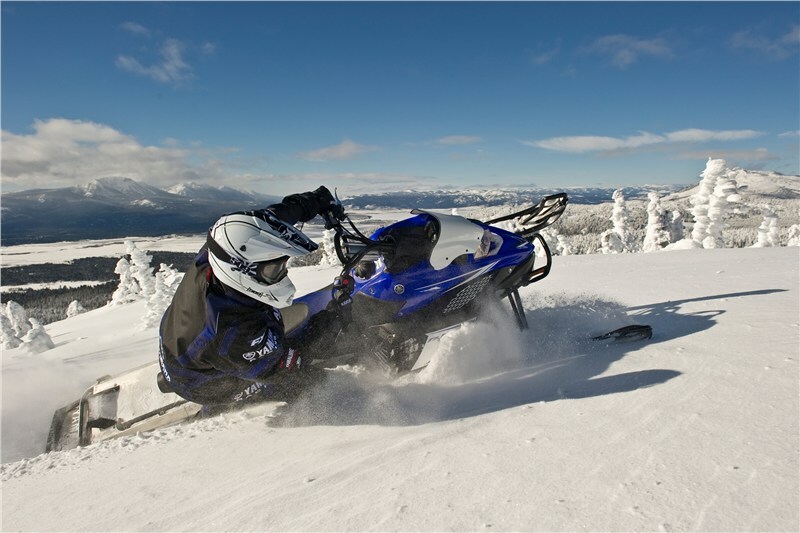 The FX Nytro MTX 153 features the acclaimed second generation FX Nytro front suspension with more trail and relaxed caster for greater deep snow handling and side hilling ability. The sway bar was also removed to enhance handling in steep, mountainous regions. The compact design puts the engine down low and back in the chassis, leaving the top of the cab open for airflow. This gives the FX Nytro MTX 153 a very centralized mass. 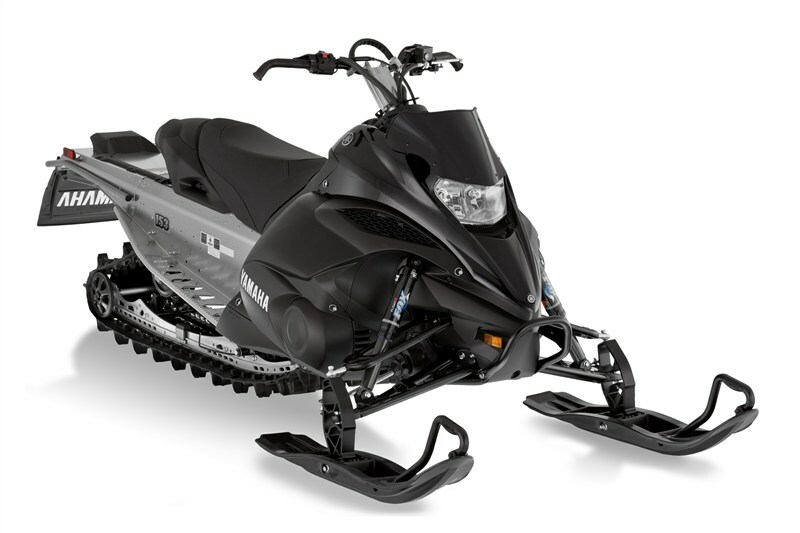 The FX Nytro MTX 153’s sport rider-forward ergonomic design puts the rider in an aggressive, yet comfortable, forward posture. 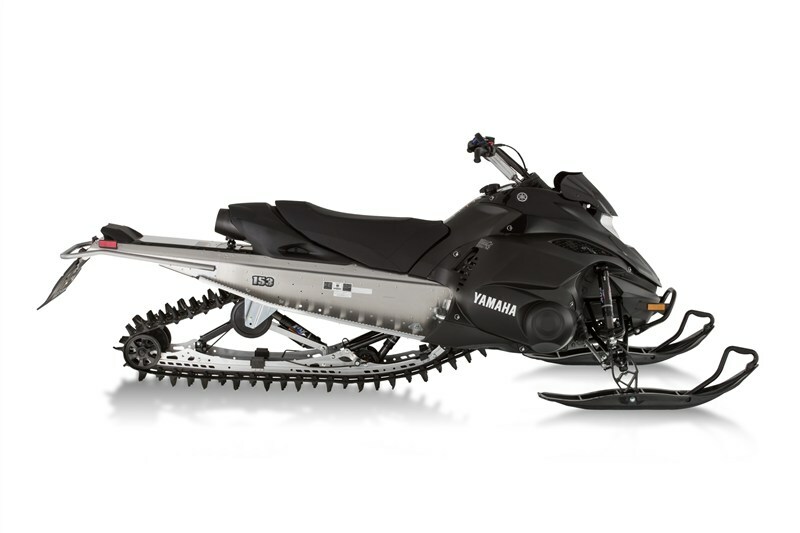 The 2014 FX Nytro MTX 153 uses the same handlebar as the trail models, with less bend than the previous mountain setup. The center strap has a billet clamp mounting and the strap itself stands taller over the center post. The hooks have the same grip material as the main bar section, for consistent control, regardless of hand position on the grip. The headlight assembly and upper portion of the FX Nytro MTX 153 is supported by a super-lightweight composite framework. 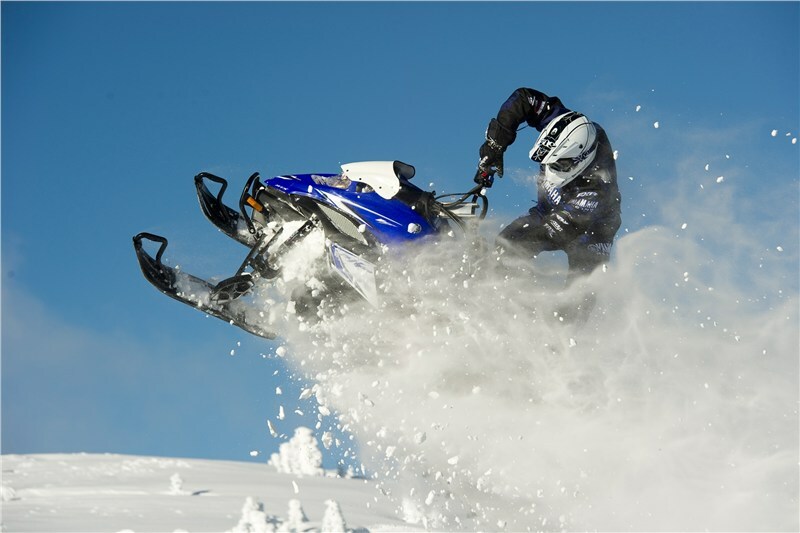 By using a rugged, high tech composite material as the structure for the top portion of the sled, Yamaha engineers were able to keep the mass centered low and deep in the chassis. The FX Nytro MTX 153 features a lightweight tunnel design. 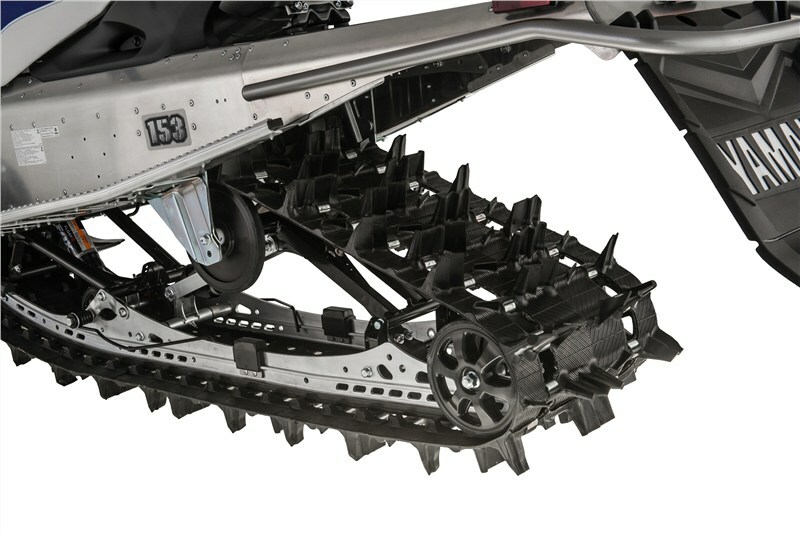 With the running boards tipped up at an aggressive 11-degree angle, the FX Nytro MTX 153 delivers big ground clearance for deep snow capability. 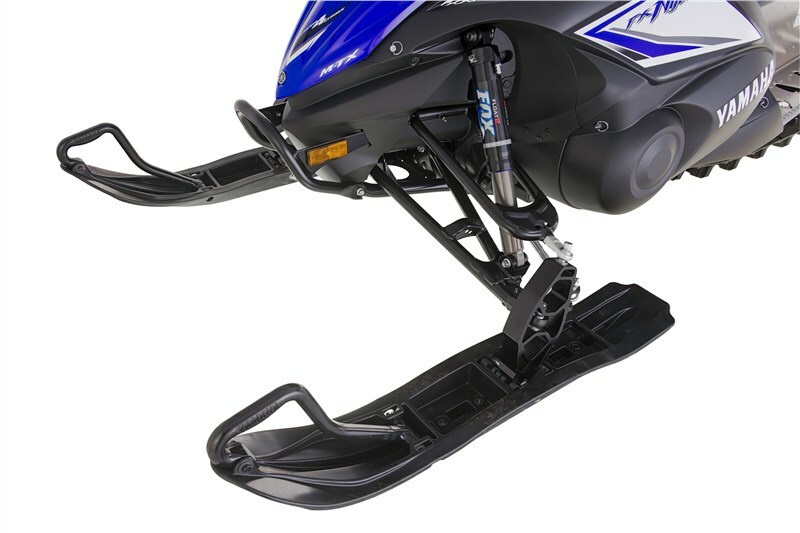 The design also features large snow evacuation and boot gripper punch outs. 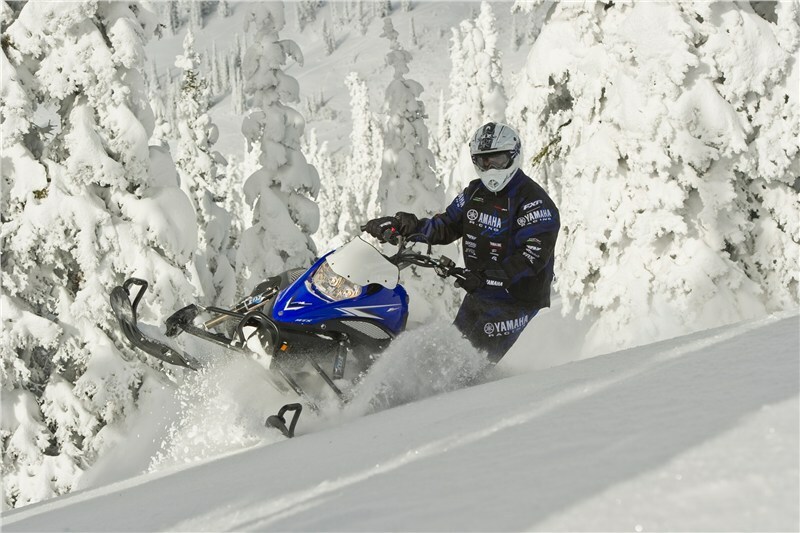 The Nytro MTX 153 is equipped with the industry’s only all-air mountain-specific rear suspension. 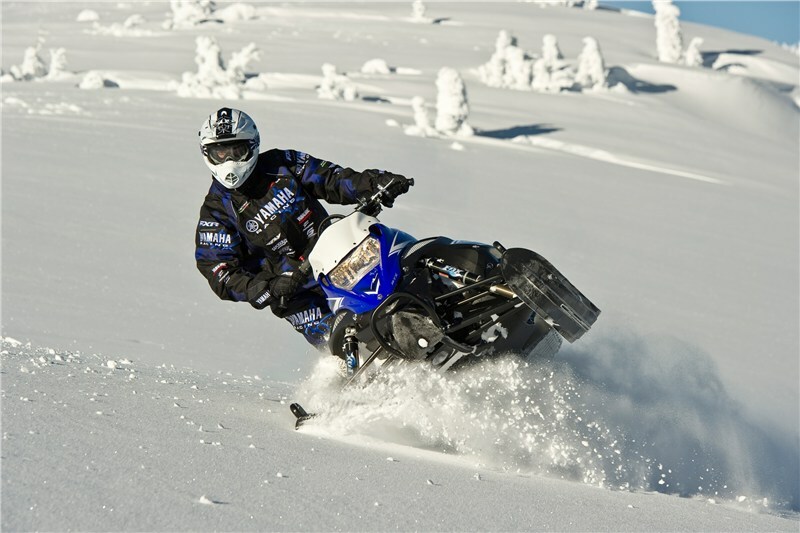 In a joint effort, Yamaha co-developed this suspension with Fox® to make it the best suspension for any mountain rider. 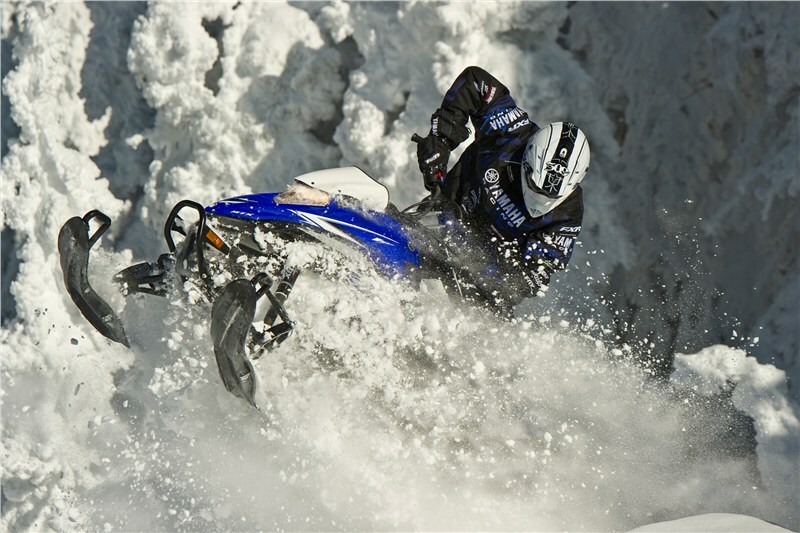 It is equipped with a Fox® FLOAT™ 2 and Fox® FLOAT™ XV shock that boost the suspension to another level. When combined with a shallow approach angle, a semi-coupled design, and lightweight rails, it makes for a suspension you don’t want to mess with. 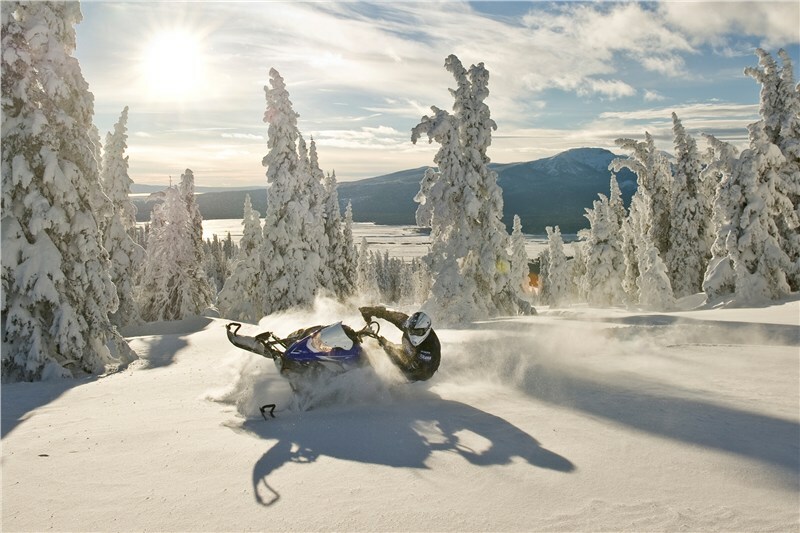 Fox® FLOAT® 2 shocks use an air spring designed to force the piston to rebound. This eliminates the need for steel coil springs. 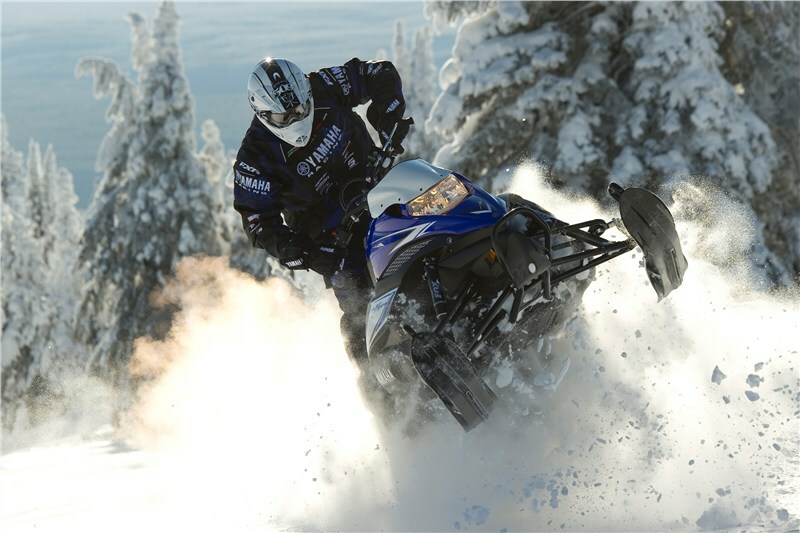 The air springs cut three pounds off the sled’s overall weight, as compared to traditional coil over springs. 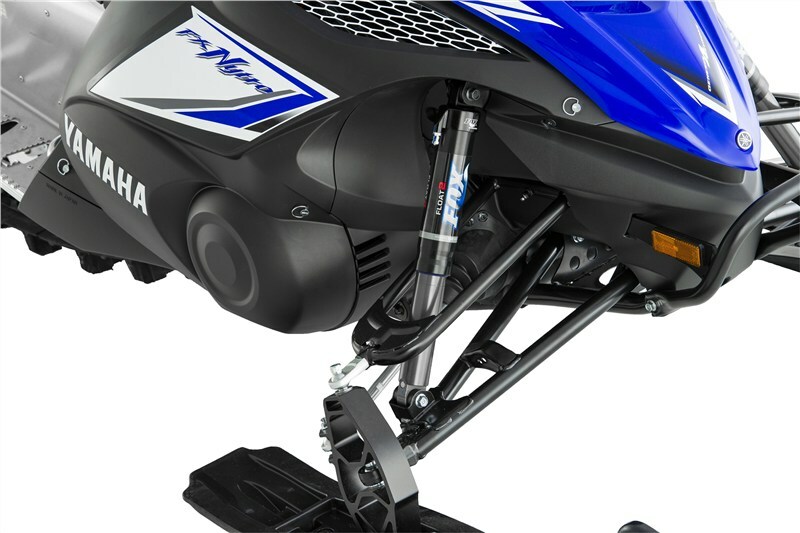 The springs are individually tunable by using a pocket-sized air pump, which comes with the sled, so consumers will be able to set the front suspension up to their liking. The FX Nytro MTX 153 is all about fun and handling. As a result, the running boards are nice and wide and loaded with traction. Riders will be able to put their feet anywhere on the running boards and have confidence in their grip. 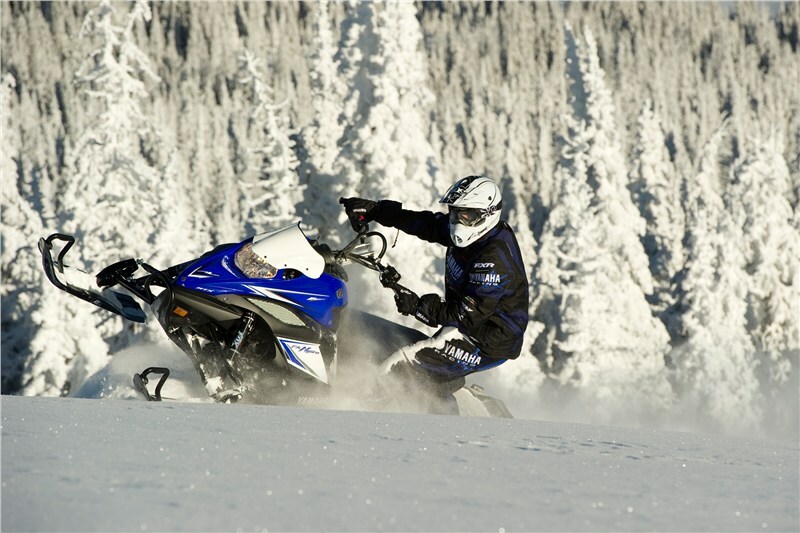 This allows the rider to move around and enjoy the sled. Replaceable bearing wheels make maintenance easy and cheap, while the 6 spoke design adds to the visual appeal of the already striking FX Nytro MTX 153. This design is implemented on all rear wheels. The FX Nytro MTX has a narrow seat for added comfort. In addition to putting the rider in a tall, forward, attack position, the seat height makes it plush and comfortable for a full day of riding. The narrow seat sits atop the beveled tunnel, which allows the track to be a traditional 15 inches wide, to maximize traction. The FX Nytro MTX uses dual controls to let you adjust the warmer levels for your hands on the left side and the thumb on your right. These hand warmers have a concentrated element design, which focuses the heat in the middle of the grip material. 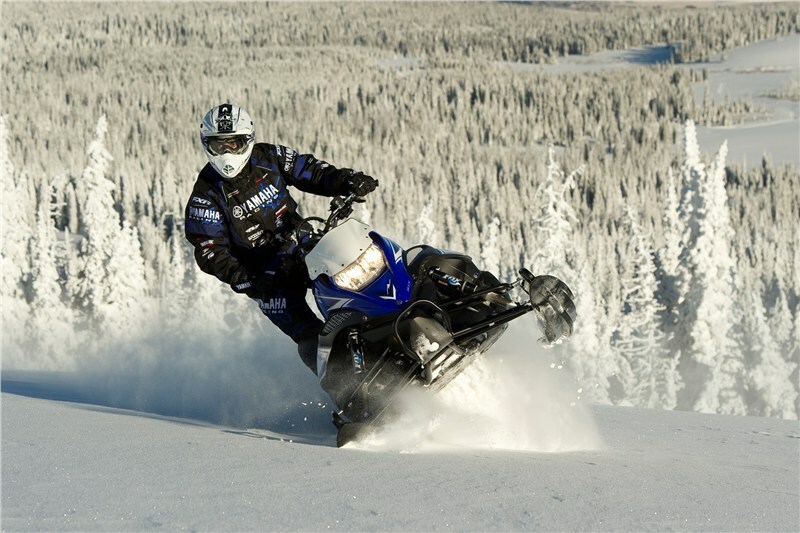 The result is a warm grip for your hand’s most comfortable riding position. 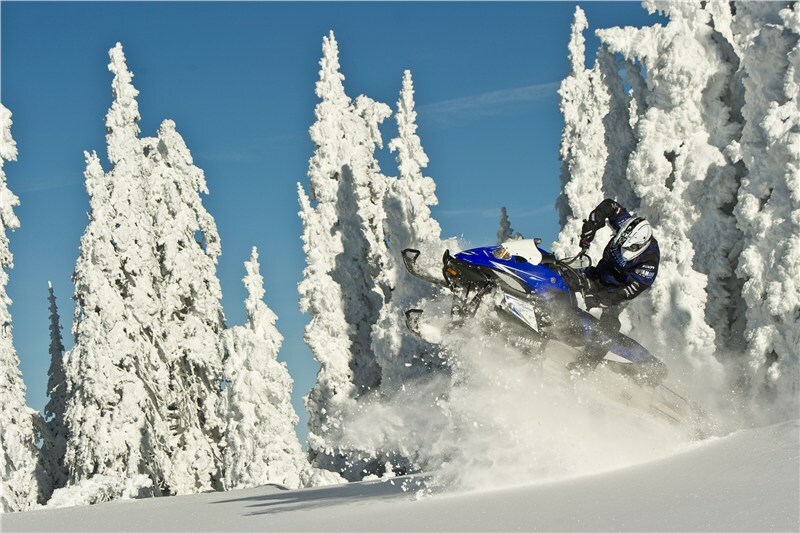 In addition, an insulator is placed between the heating element and handlebar to retain heat longer and more efficiently than previous designs. 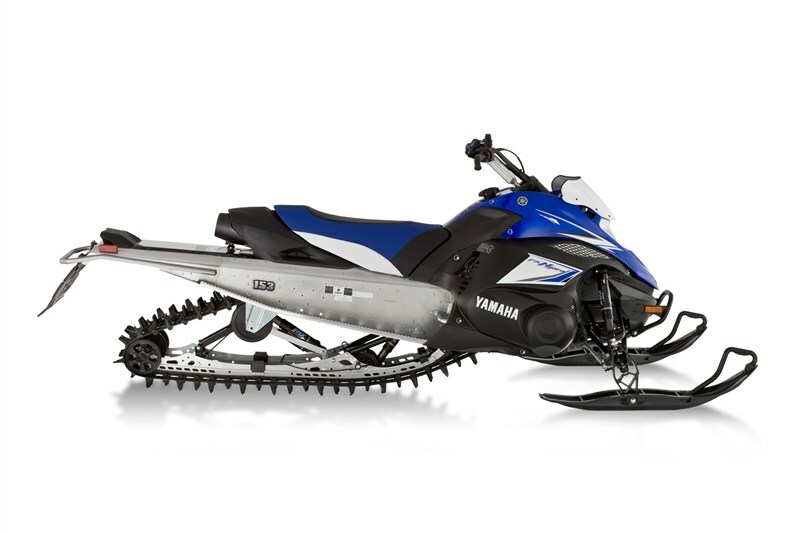 Yamaha’s electric starter system allows consumers to fire up their FX Nytro MTX 153 with the turn of a key. There is no pulling on a nylon cord to get this high-tech engine growling! 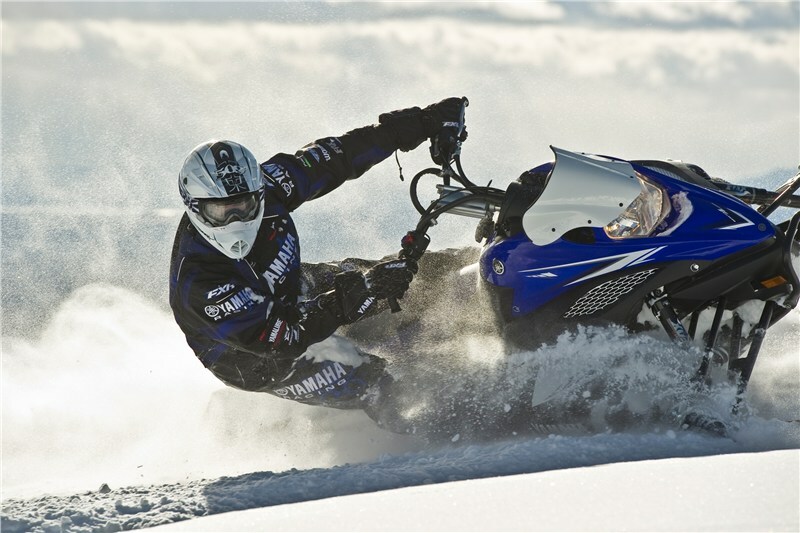 Electric start is a standard feature on all of Yamaha’s 4-stroke machines. The digital gauge displays key information at a glance. Vehicle speed is displayed on a large LCD readout. In addition, the rider can select tachometer, odometer or tripmeter data to appear on secondary readout. 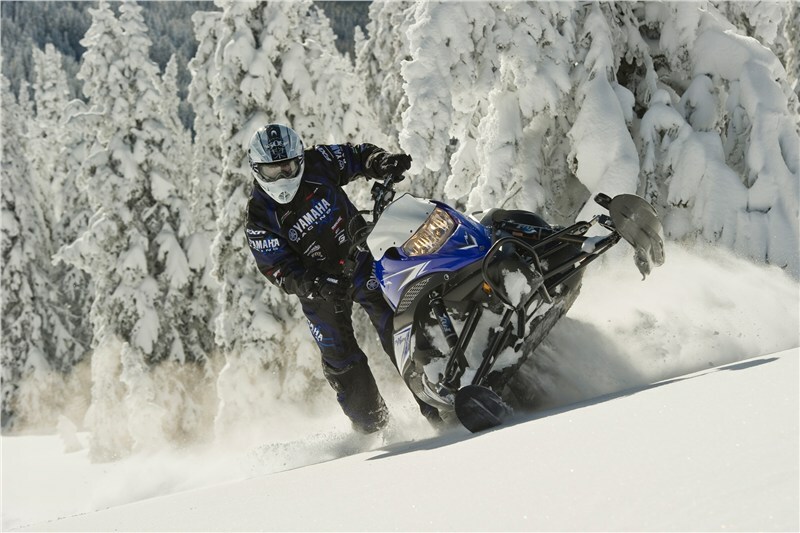 The gauge also displays system warning lights, fuel level, and grip and thumb warmer intensity. 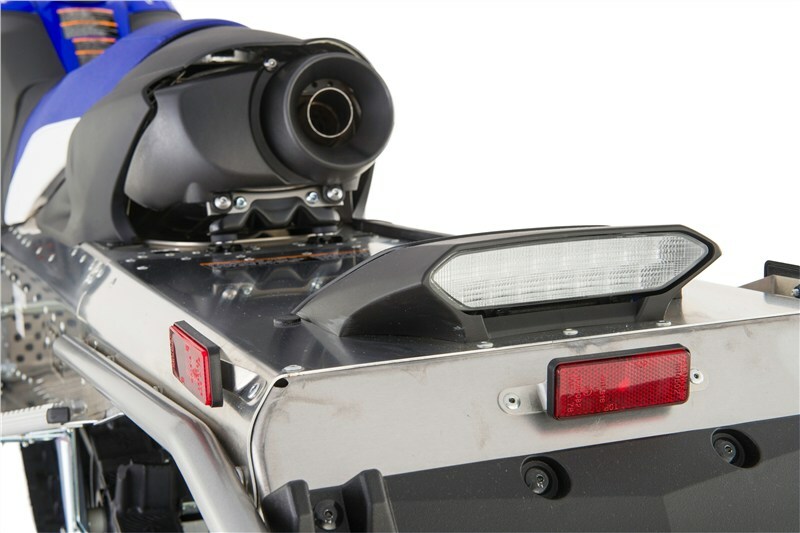 The FX Nytro MTX 153’s simple reverse system allows riders to back out of tight spaces hassle-free. It’s engaged with the lever located on the right shroud for quick and easy use. The FX Nytro MTX 153 has a single-piece hood and console shroud. 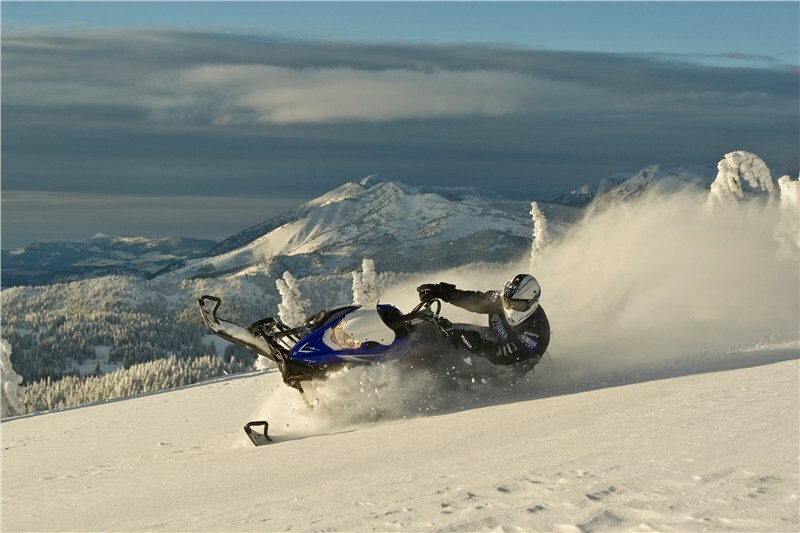 The design allows owners to open and close the top portion of the sled easily with Dzus® quick-connect fasteners. 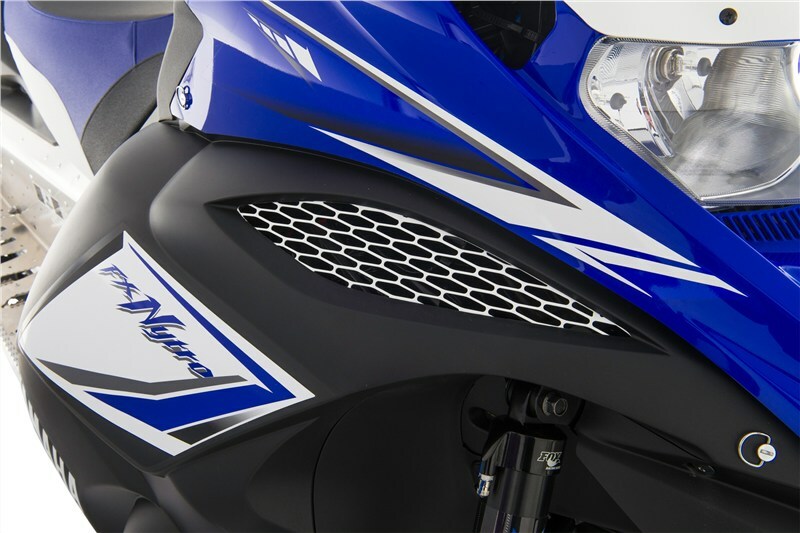 The FX Nytro MTX 153 comes in two graphic packages; all Black as well as Yamaha Blue.